I was so happy with how these little beauties turned out and they couldn't have been easier to make. 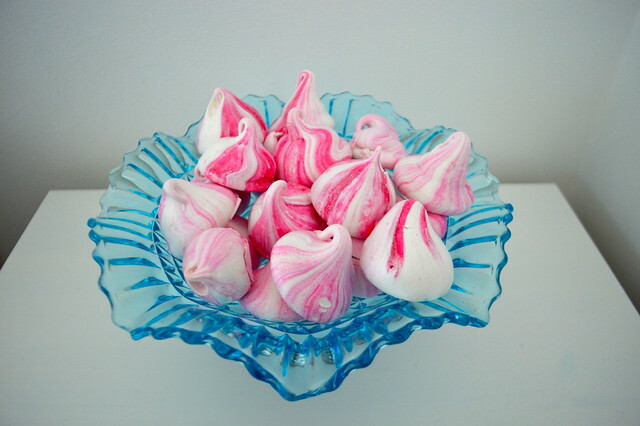 I always eat shop bought meringues but they lack that chewy centre so I thought I would make my own. I spent ages searching for the perfect recipe and when I saw a photo of these I knew I had to make them because they were so dainty and pretty. 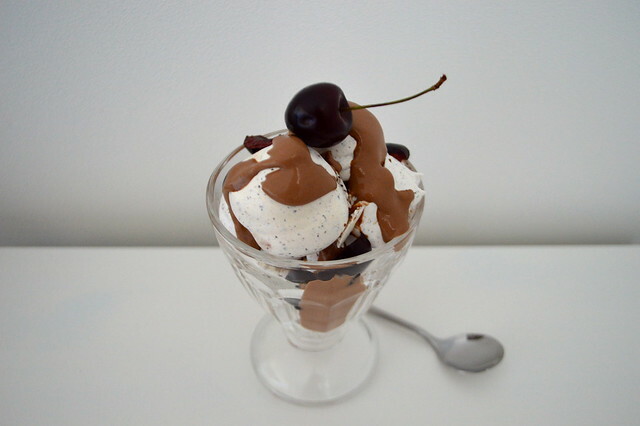 You only need two ingredients to make them. Unless you want to colour or flavour them. The possibilities are endless, I've seen them in all the colour of the rainbow and with flavours like pistachio, ginger and rose. 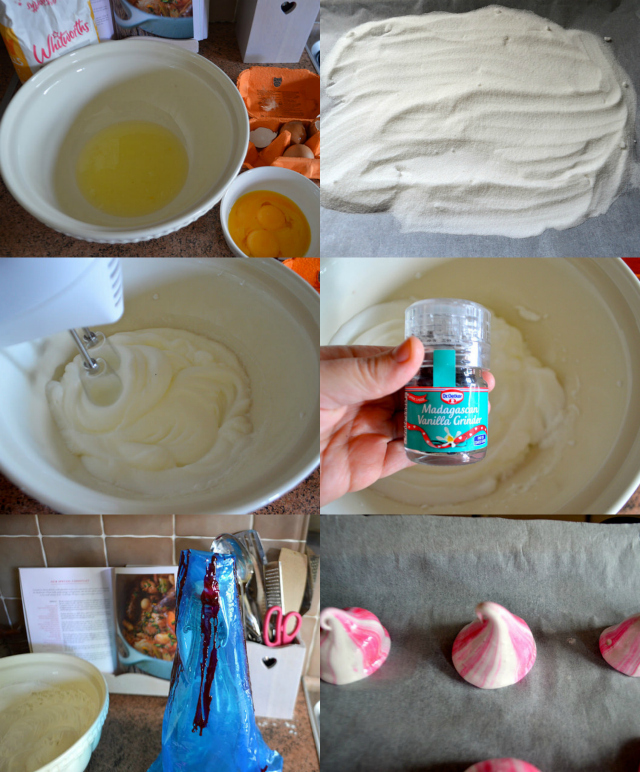 It was my first time making meringues so I decided to keep it simple and make vanilla flavoured ones with a dash of colour. Start by lining a large baking sheet with baking paper. Line a deep tray with baking paper and heat 300g caster sugar at 200C until the edges are just beginning to melt. Heating the sugar helps it to dissolve in the egg white more quickly, creating a glossy and more stable mixture. Now, turn the oven down to 100C. Add egg whites to clean bowl of a free standing mixer (or a bowl and use a hand held like me) At first whisk slowly allowing small stabilising bubbles to form, then increase the speed until the egg whites form medium peaks. Using a large spoon, add the sugar spoon by spoon while continuing to whisk. 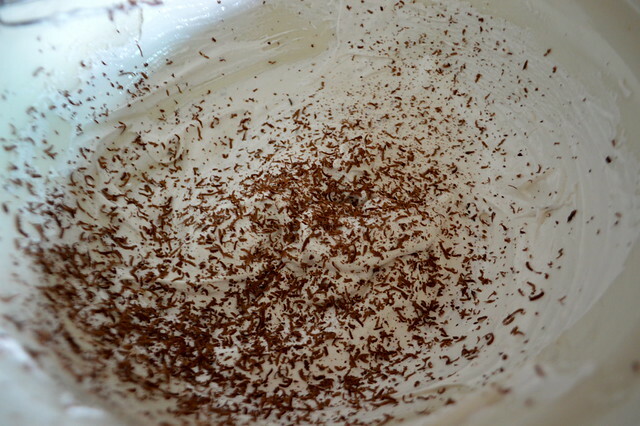 It is ready once you have a full bodied, stiff and glossy mixture (5-7 minutes). Add any flavouring at this point. Turn a disposable piping bag inside out, and use a paintbrush to paint stripes of natural food colouring on the inside. Fill the piping bag ensuring there are no air bubbles, and cut the tip off to the size of a 20p piece. Pipe small kisses onto a lined baking tray. Bake for an hour and leave to cool fully before pulling away for the tray. If you cover them or pop them in a tub they will last for a few days. I grated a square of frozen 50-70% cocoa chocolate into my mix for cute speckled kisses. I used a few more squares melted and mixed with cream to make a sauce. 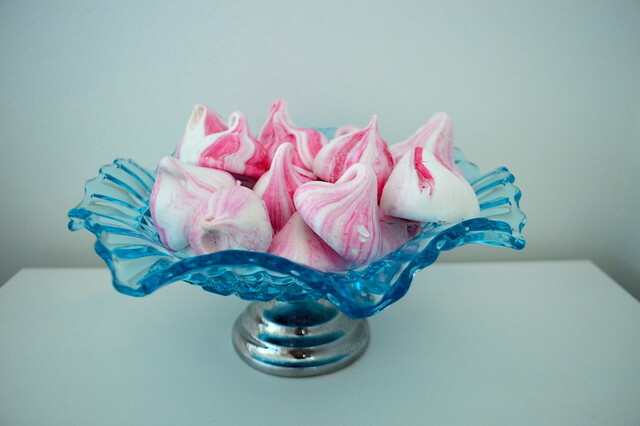 The recipe I used is the Meringue Girls one and they have lots of videos and tutorials online. If you make these yourself I would love to know how you get on. These look so cute! Now that I have a proper mixer, i might give these a go for next weekend's dinner party! Oh Gem I want to gobble them all up! These look AMAZING, definitely going to try them at some point! These look SO GOOD, Gem. Seriously! Wow.